Reuters UKFrench presidential candidate and frontrunner Emmanuel Macron said on Monday he would step up efforts to get technology firms such as Google or Facebook to share encrypted content from messaging services with authorities. Reuters UKIt's lunchtime and Parisians are queuing for baguettes at a bakery on the Rue Montmartre, a sight long typical of life in the French capital. ReutersA new poll on Tuesday showed far-left wildcard Jean-Luc Melenchon nipping at the heels of the frontrunners in France's presidential race, building on his recent surge as sniping between the top contenders gathered pace. ReutersJapanese bank Nomura said onTuesday it would enter an "outright short" position to betagainst French government bonds if far-left candidate Jean-LucMelenchon were to face the far-right Marine Le Pen in France'spresidential run-off next month. German finance minister Schaeuble says we need a strong France, we need a pro-European France, we need France to hold Europe together. 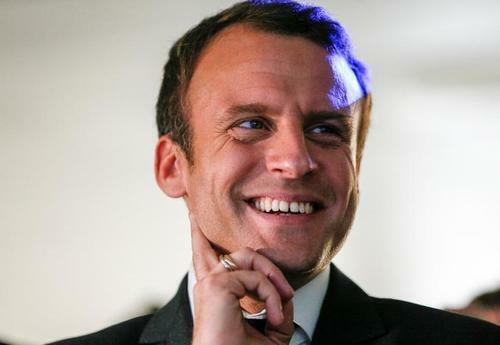 Reuters UKPolls showed France's presidential election campaign tightening further on Wednesday as financial markets fretted about the rising popularity of a far-left candidate who wants to put France's European Union membership to a vote. ReutersBEAUMONT, France (Reuters) - In Henin-Beaumont, where French presidential candidate Marine Le Pen's National Front won power three years ago, her backers are sure she will win a thumping victory later this month - locally, at least. ReutersAn arson attempt left very minor damage at the Paris building where French presidential candidate Marine Le Pen has her headquarters, a police source said, and Le Pen accused leftist groups of the attack. 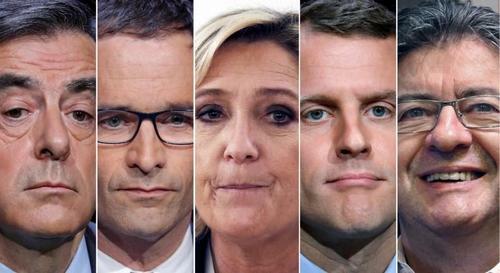 Pensioner Jeannine Delaplane, care-worker Cecile Lungeri, and millions like them are giving French presidential candidates and pollsters nightmares. ReutersFrance's far-right National Front leader Marine Le Pen has spelled out her policy plans in a manifesto of 144 proposals which include leaving the euro currency and holding a vote on European Union membership. 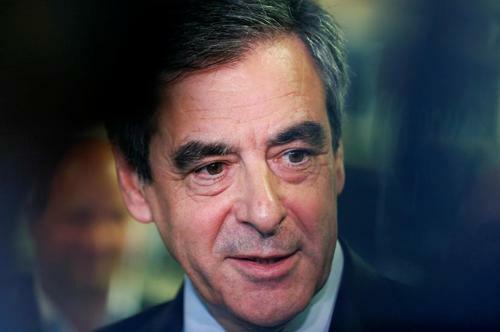 ReutersHere are some of the key points in the program of Francois Fillon, the conservative Republicans candidate for France's presidential election on April 23 and May 7. ReutersHere are some of the key points in the program of Emmanuel Macron, a centrist candidate in France's presidential election on April 23 and May 7. Far-left candidate Jean-Luc Melenchon drew tens of thousands to a rally on Sunday, aiming to maintain momentum that has pushed the one-time outsider into contention in the French presidential election, with the first round of voting a week away. 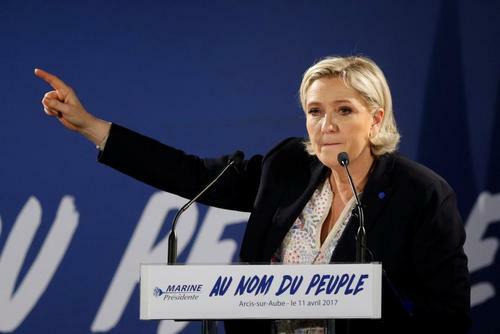 Reuters UKFar-right leader Marine Le Pen on Sunday sought to mobilise her supporters six days ahead of France's most unpredictable presidential election in decades by pledging to suspend all immigration and shield voters from "savage globalisation." Reuters UKJP Morgan equity strategists on Tuesday said they still expected independent centrist Emmanuel Macron to win the French presidential election, even though they noted the race had tightened after a rise in polls for far-left candidate Jean-Luc Melenchon. Reuters UKTwo men have been arrested in Marseille, southern France, on suspicion of planning an attack during the forthcoming presidential election, judicial and police sources said on Tuesday. ReutersTwo Frenchmen were arrested in the southern port city of Marseille on Tuesday morning for planning an "imminent and violent attack" ahead of the first round of the presidential election, France's interior minister said. Far-right leader Marine Le Pen on Monday sought to mobilise her supporters six days ahead of France's most unpredictable presidential election in decades by pledging to suspend all immigration and shield voters from "savage globalisation." MORE: Prosecutor Molins said raid in suspect's apartment in Marseille revealed various weapons and explosives.